China since the late fourteenth century maintained a hierarchical and familistic relationship with Korea. The two countries had a clear natural border in Manchuria, but their politico-cultural boundary within the Chinese empire was very ambiguous. The Chinese imperial discourse always described Korea as a committed member of the Sinocentric extended family. 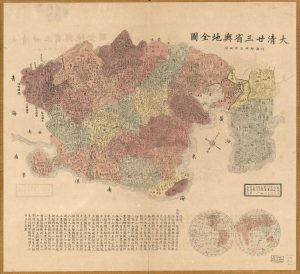 When Beijing was confronted with political crises in Korea, some Chinese officials and intellectuals repeatedly proposed that Beijing should convert Korea into a province or several prefectures and counties of China. In the late nineteenth century, this approach to provincializing Korea was further informed by European colonial practices that became prevalent in Southeast Asia, on the one hand, and by China’s own policy of integrating Mongolian, Tibetan, and Xinjiang areas in Central Asia into Chinese territory, on the other. This talk discusses why China chose not to colonize Korea in late imperial times when China itself experienced a dramatic reconstruction. 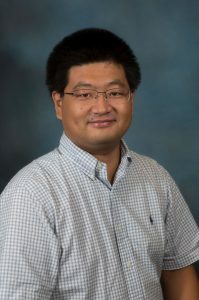 About the speaker: Prof. Yuanchong Wang received a PhD from Cornell University in 2014 and now works in the Department of History at the University of Delaware as an assistant professor. He is preparing a book manuscript that examines how the Manchu regime of the Qing dynasty of China used its changing relations with the Chosŏn dynasty of Korea to establish, legitimize, justify, and consolidate its politico-cultural identity in the Chinese world during the process of transforming China from a cosmopolitan empire in the seventeenth century into a sovereign state in the late nineteenth century.